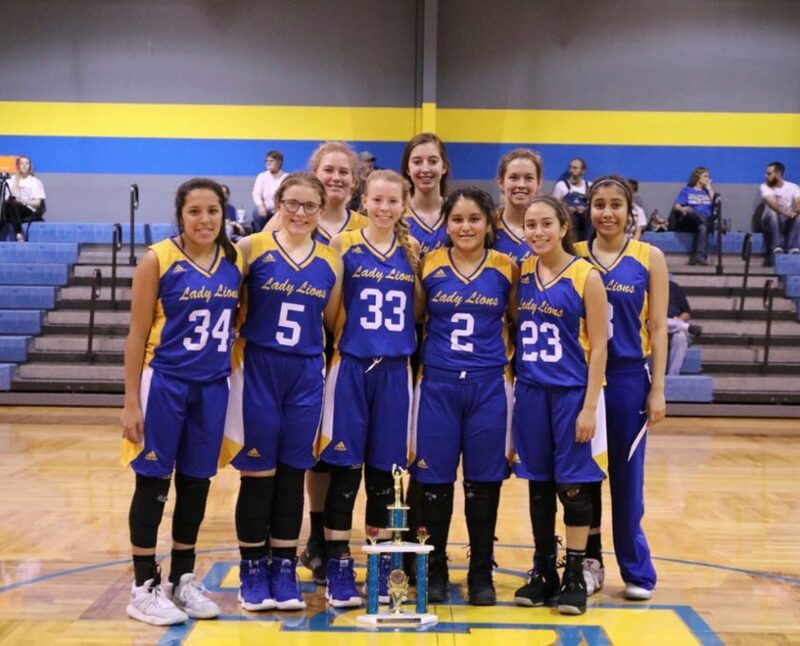 The Saltillo Lady Lions, ranked #25 in Class A, improved their district record to 5-0 with a 28-16 win at Sulphur Bluff Tuesday evening (January 15). Sulphur Bluff actually led after the first quarter, 7-3. Saltillo outscored the Lady Bears 9-0 in the second quarter to take a 12-7 lead. The Lady Lions outscored Sulphur Bluff 12-3 in the third quarter to take a 24-10 lead. Sulphur Bluff outscored the Lady Lions 6-4 in the fourth quarter but it wasn’t enough. Maddy Smith scored 14 points for the Lady Lions. Anna Reeder had 6 points and Chandler Bain added 4 points. The Lady Lions are now 21-8 for the season. Sulphur Bluff Coach Zandra Peyton said her Lady Bears came out strong on defense and were able to slow the ball down. For the Lady Bears, Katlyn Rochelle had 4 points, Alley Collett and Makenna Morgan had 3 points apiece and Jada Wade, Ann Dorner and Dalena Di Donato had 2 points each. The Saltillo Lions also won at Sulphur Bluff, 60-40 Tuesday evening. The Lions outscored the Bears in every quarter. For the Lions, Chris Boekhorst scored 26 points, Ben Moore had 15 points, Matthew Gurley and Andrew Redburn scored 6 points each, Dillon Beadle had 3 points and Levi Hoover and Jayden Holloway added 2 points each. The Lions are now 2-1 in district play and 17-8 overall. The Lions and Lady Lions host Avery Friday. The North Hopkins Panthers also won Tuesday. The Panthers came out on top against Como-Pickton, 49-24.